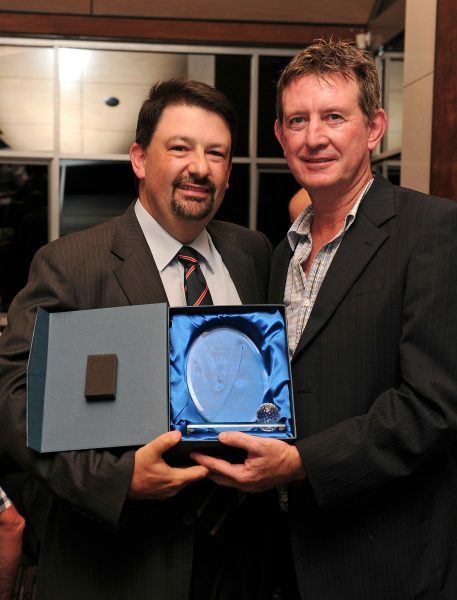 The Australian Golf Writers Association (AGWA) last week announced the winners of the 2011-2012 Australian Golf Media Awards, an annual event honouring excellence in golf media. Inside Golf editor Richard Fellner was awarded the highly esteemed “Best Column – Print” award for his monthly Starters Box column, which has generated acclaim over the past 12 months for its “outside of the box” viewpoints on subjects including Club membership models, alternative club strategies, Group Buying, Junior & Women’s golf, golf attire, club consolidation, the media, and more. “I’m deeply honoured to win this award,” says Fellner. “With the high calibre of writers in the Australian Media — not to mention some truly spectacular columns in the various golf publications — this award came as a complete shock to me. To have my name associated with great writers like Peter Stone, Martin Blake, Bruce Young and Mark Hayes is an absolute honour that I will always cherish. The award is Fellner’s second AGWA gong, following his 2007 award for “Photojournalism – Best Photograph, Magazine“, also for Inside Golf. The award winners were decided by a panel led by noted sports journalist Mr Jim Webster OAM and representatives from Golf Australia, the PGA of Australia and the Australian Ladies Professional Golfers Inc. The President of the Australian Golf Writers Association Mr. Brendan Moloney said he was pleased to see the golfing community again support the Australian Golf Media Awards which continue to grow in stature each year. “The Australian Golf Writers Association congratulates the winners of the 2011-2012 Australian Golf Media Awards,” said Moloney. The complete list of winners at this year’s Australian Golf Media Awards is below.